This research programme focuses on a period of severe pan-European economic and demographic change: the Late Roman Period (AD 300-500) and Early Middle Ages (AD 500- 1000). Physical-geographical and biogeological data point at marked climatic variability and changing landscapes during this time interval. In geomorphologically sensitive regions such as river deltas and coastal areas these changes must have had a noticeable impact on the location and lay-out of urban centres and rural settlements, land use and subsistence strategies, and connections of population centres to their economical ‘hinterland’. Recent developments in digital infrastructure in the Humanities and Geosciences in the Netherlands for the first time enable us to study these phenomena from an interregional and interdisciplinary perspective. 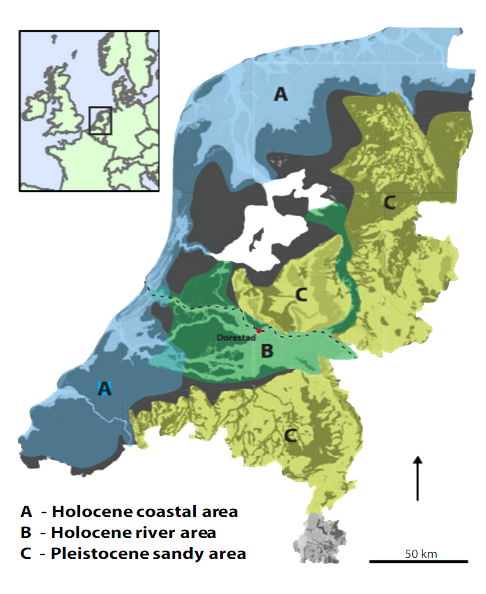 We study how settlement dynamics, land use, infrastructure, demography and trade between AD 300 and 1000 were related to changes of the landscape and climate, focusing on the Lowlands’ geomorphologically most sensitive regions. This reconstruction will take place within three complementary PhD-projects, in the realms of archaeology, physical geography and biogeology. Subproject A focuses on occupation patterns and land use in coastal, river and Pleistocene sandy regions, Subproject B on natural geomorphologic landscape dynamics in these regions, and Subproject C on vegetation changes and climate. 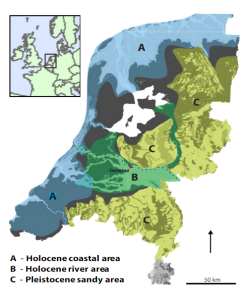 Results will be synthesized in an interdisciplinary reconstruction of the interactions between cultural and environmental dynamics in the Lowlands between AD 300 and 1000 in a broader northwest-European context. 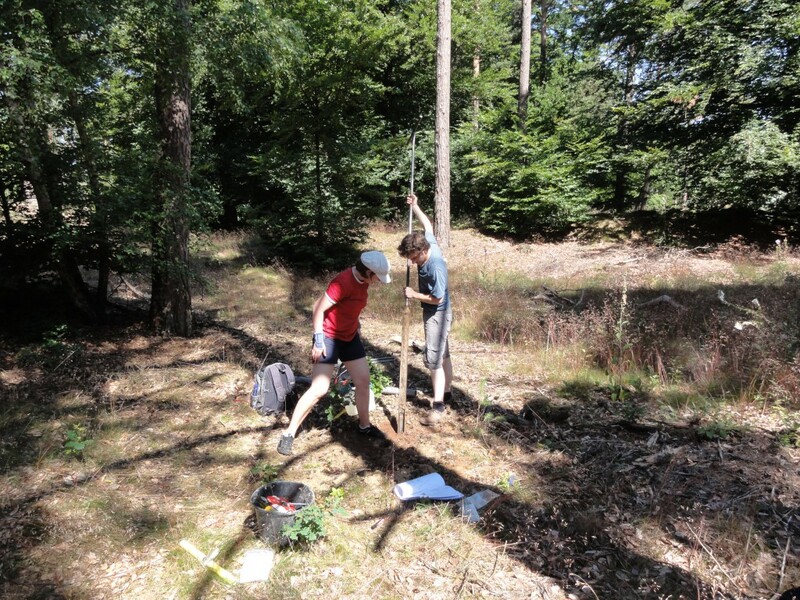 The study will greatly improve the archaeological understanding of dynamics in the Early Medieval Lowlands and strongly enhance the framework for future research of this key period.